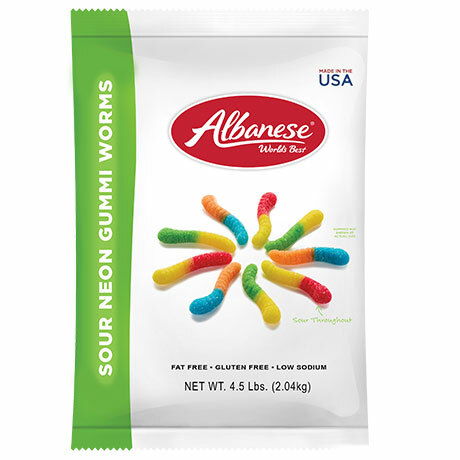 Assorted Sour Fruit Gummi Worms are sour throughout for a flavor that will wake up your taste buds! Flavors include: Cherry, Green Apple, Pineapple, Lemon, and Orange. 4.5 lb. bag.